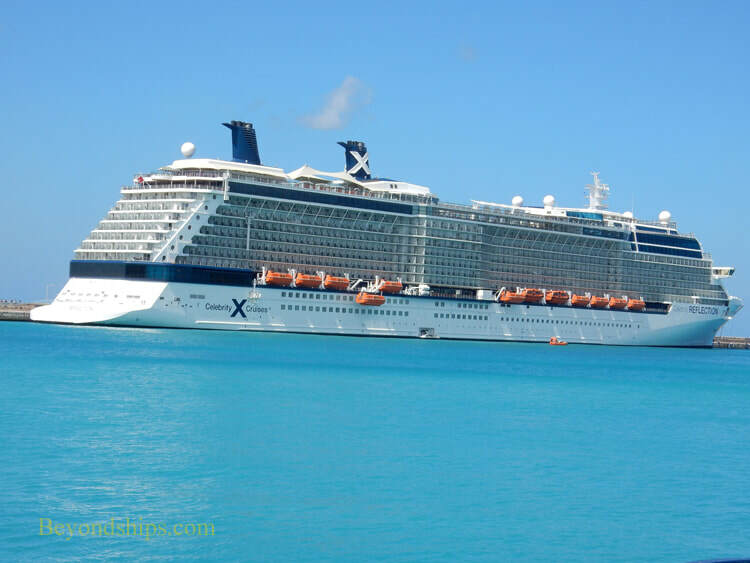 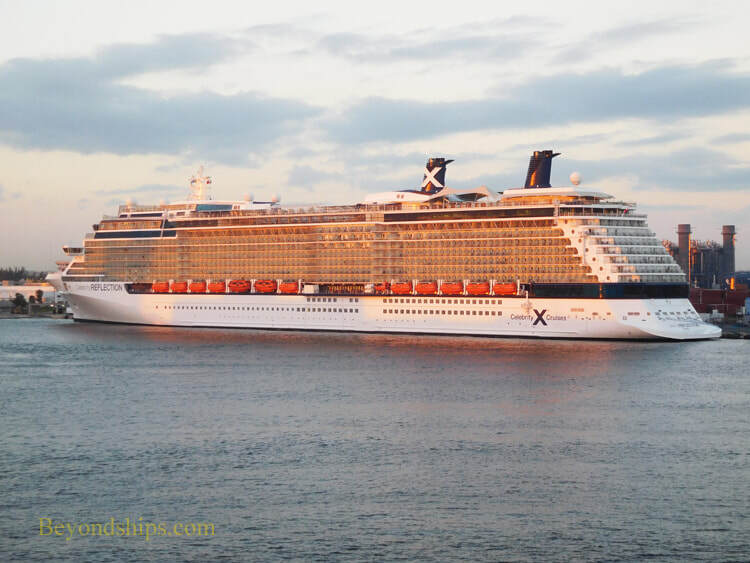 In this pictorial, we show Celebrity Reflection in the various ports she visited during a cruise through the Eastern Caribbean. 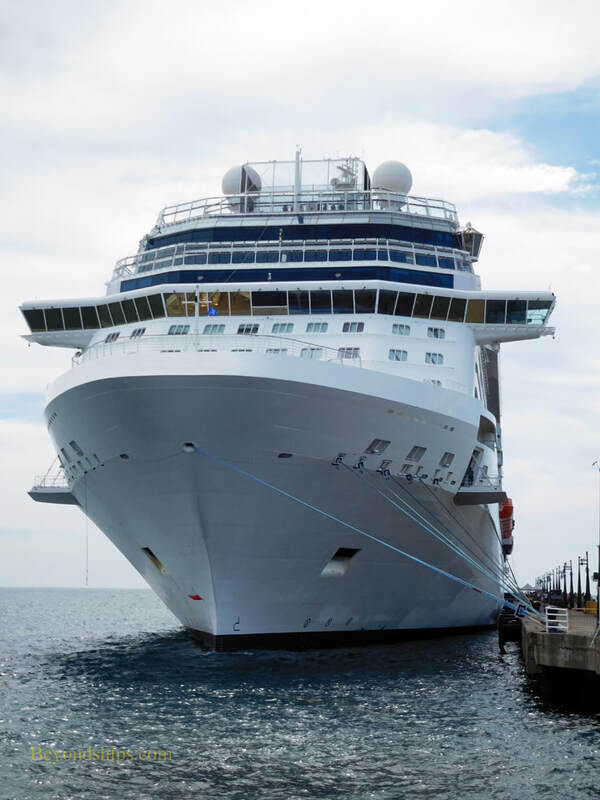 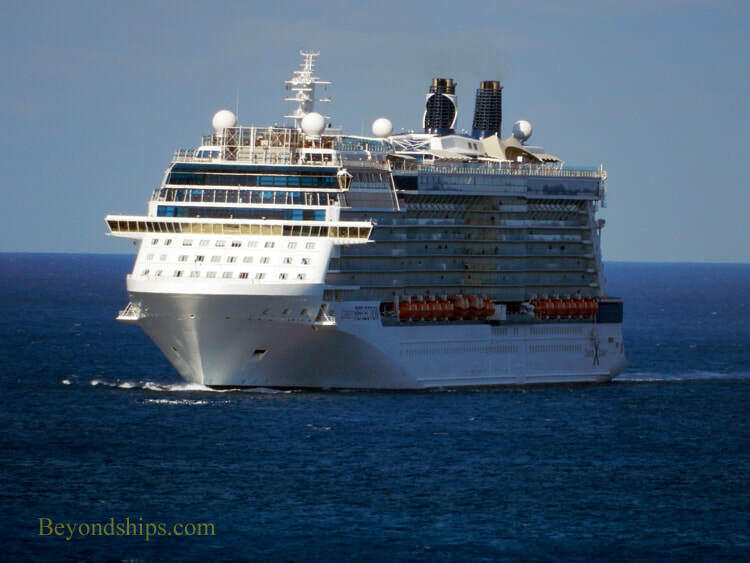 (See our cruise review). 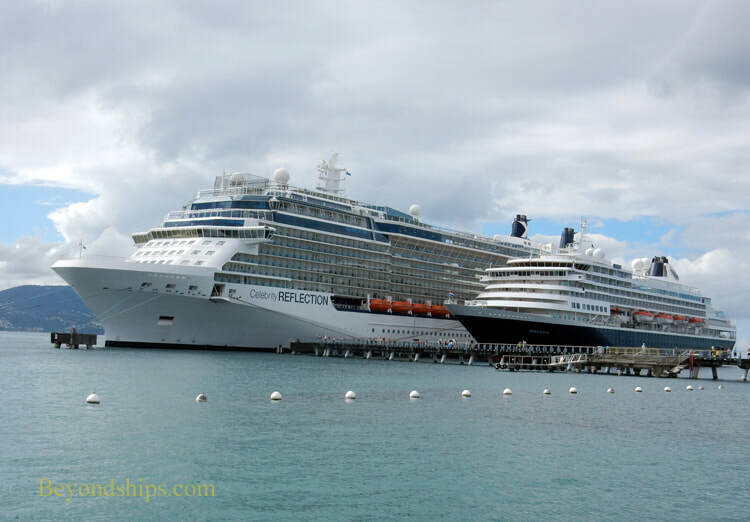 Right: Celebrity Reflection in Fort Lauderdale, the embarkation port. 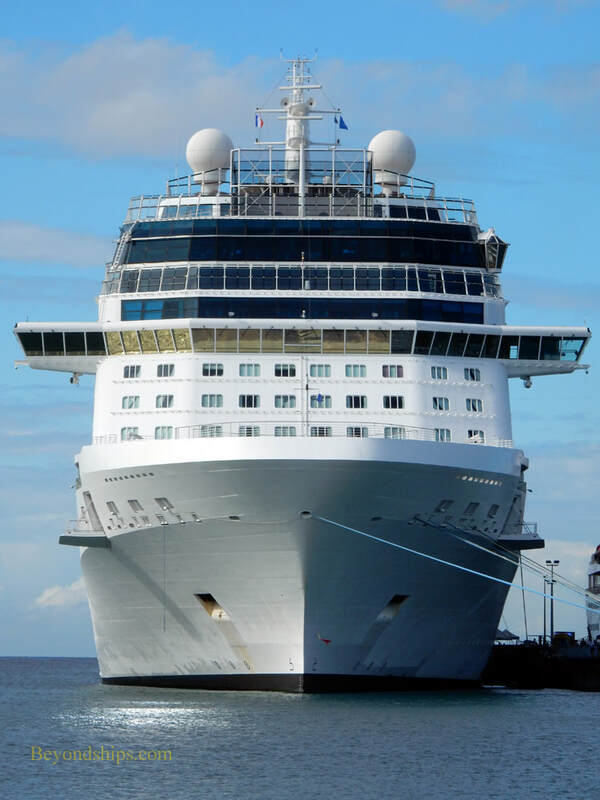 ​Below: Celebrity Reflection at sea. 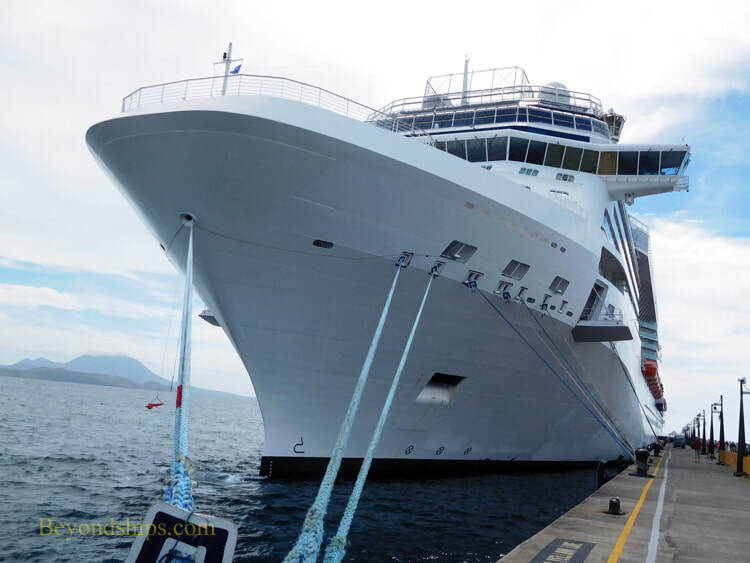 The cruise involved four sea days. 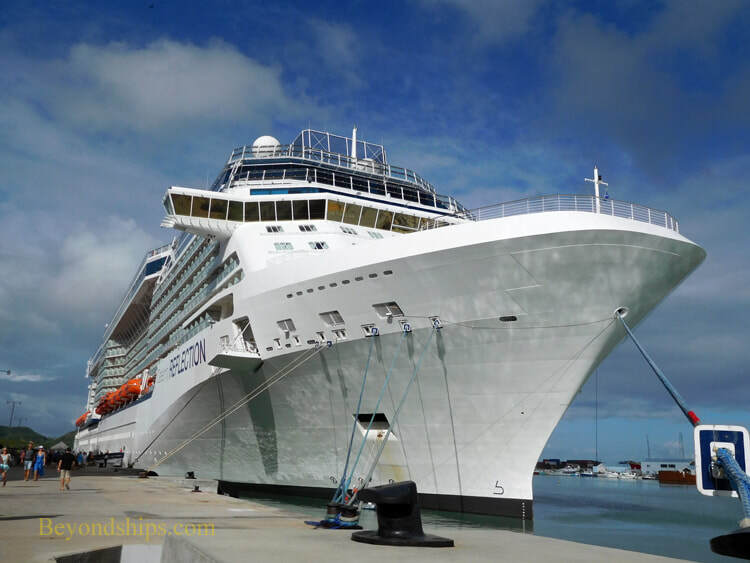 ​In Antigua, Celebrity Reflection docked at the cruise port in downtown St. John. 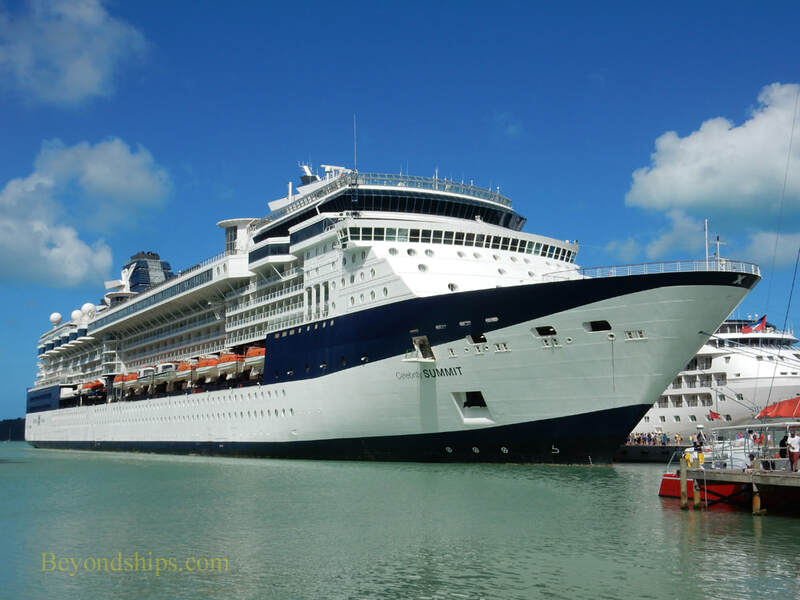 Celebrity Reflection at the man-made harbor outside Bridgetown, Barbados. 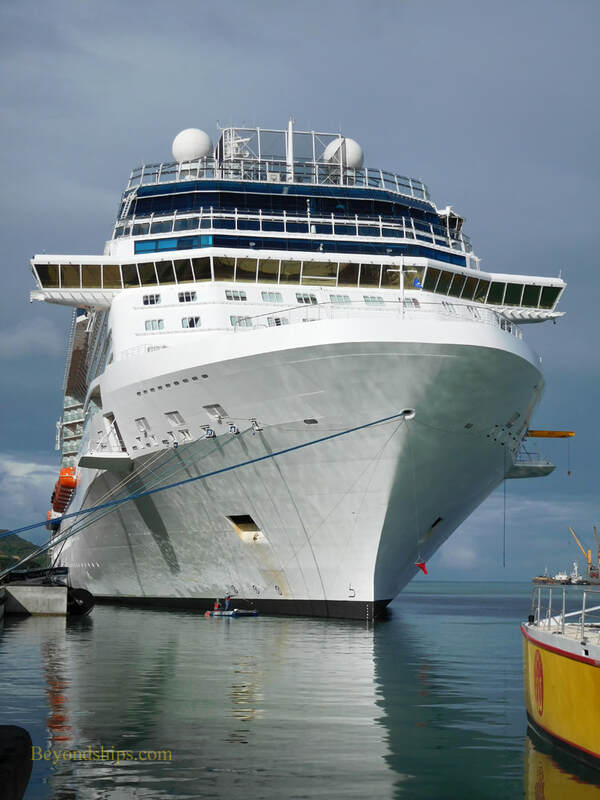 At the new cruise pier in Fort de France, Martinique. 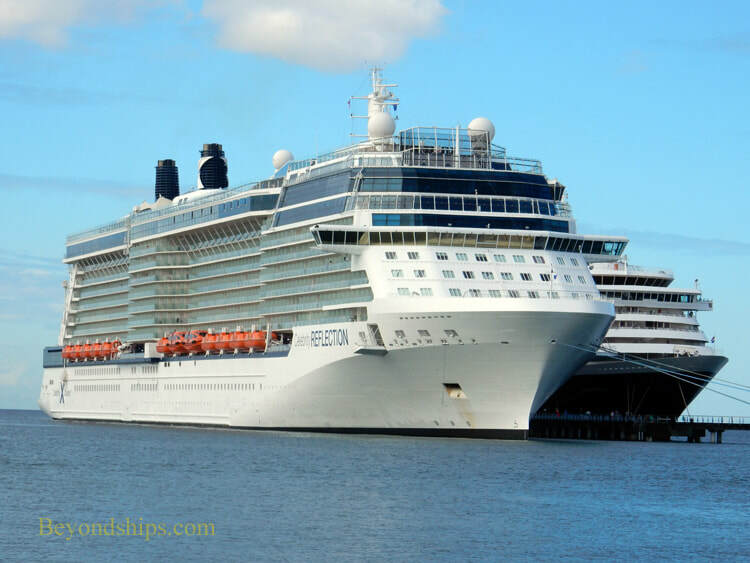 With Celebrity Reflection was Holland America's Prinsendam. 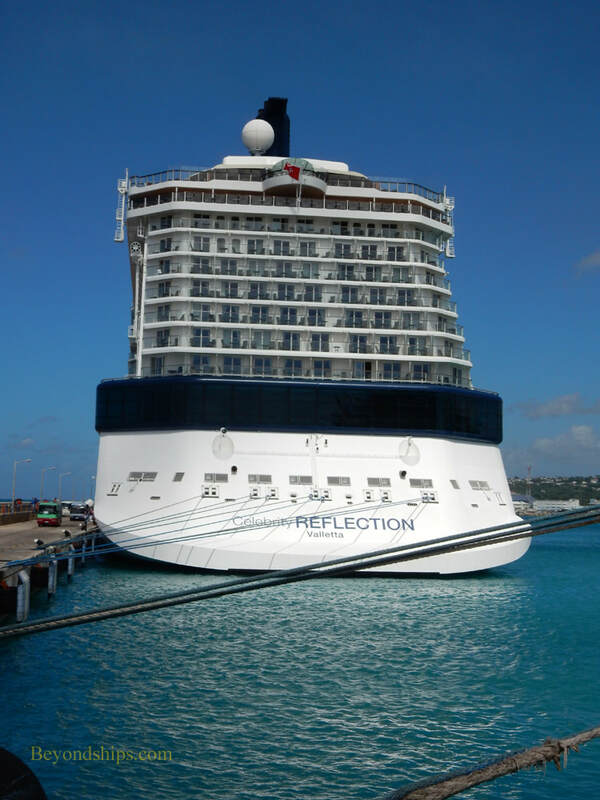 Reflection by herself in Bassterre, St. Kitts.